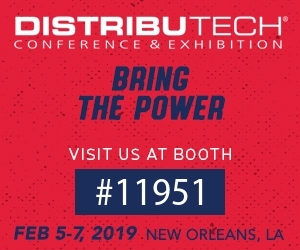 Join NEXCOM at the transmission and distribution industry's premier exhibition—DistribuTECH. From February 5-7, 2019, in New Orleans, LA, you will have the opportunity to meet with 520+ companies for information, products and services related to electricity delivery automation and control systems, energy efficiency, demand response, renewable energy integration, advanced metering, T&D system operation and reliability, communications technologies, cyber security, water utility technology and more. Click the link to register and enter coupon code INVITE for free exhibit floor (visitor only) pass.